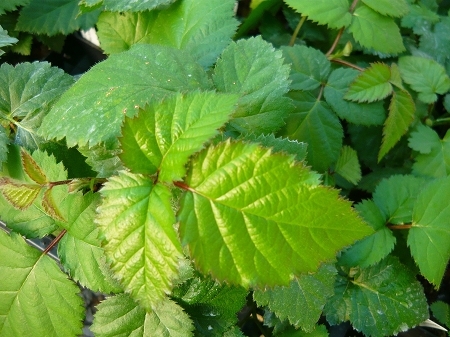 Chester Thornless Blackberry (rubus 'chester') - Summer bearing floricane. Very high yielding variety with exceptionally sweet fruit. Canes may need support during fruiting season as the yields can be quite high. Vigourous plants with good disease resistance. Ripens mid July - August. One of the more cold hardy varieties available, but also tolerates hot summers well. Zones 5-9. Live plant in 3 inch container.